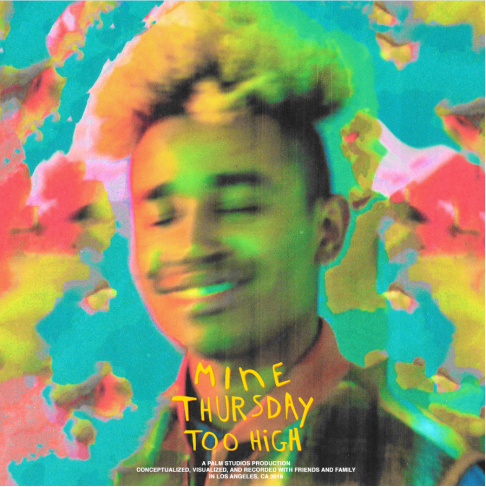 Posts tagged with "Tenzin Tsephel"
L.A.-based singer/songwriter/producer Leven Kali has released three new songs, “Mine,” “Thursday,” and “Too High” featuring fellow West Coast artists Buddy and Na’Kel. The tracks, written and co-produced by Leven himself, showcase his ability to display modern romance as a colorful, funk-inspired, and dreamy entity. Leven is due to release his debut full length project in the spring of 2019 on Palm Studios/ Interscope Records. A lyric video for “Thursday” is also out today, directed by Palm Studios. The new tracks come as a follow up to Leven’s October double-single pack, NunWrong With a Lil’ Good Lovin’, which Billboard said “encompass lush, mellow R&B vibes that resemble Anderson Paak’s surreal sounds and the pop elements of Bruno Mars.” This fall, Leven joined Snoh Aalegra on the west coast leg of her tour. Leven dropped his acclaimed single “Do U Wrong” ft. Syd back in January. Produced by Zack Sekoff (Vince Staples, Thundercat), the track features a writing contribution from Swedish singer/songwriter Snoh Aalegra. In its glowing review of “Do U Wrong,” Pitchfork stated that Leven “is out to write the next episode of California hip-hop: buttery neo-soul vocalism growling electric guitar, and G-funk thumo.” Leven is scheduled to release his full-length project in 2019. This entry was posted in Fashion + Music and tagged 360 Magazine, billboard, Bruno Mars, Buddy, California, do u wrong, gravel, hip hop, interscope records, L.A., leven kali, Mine, music, Na'Kel, new, pack, Palm Studios, pop culture, release, Snoh Aalegra, Tenzin Tsephel, thundercat, Thursday, Too High, Vaughn Lowery, Vine Staples, West coast, Zack Sekoff on December 9, 2018 by wp360mag. You heard it! Complex Networks is bringing ComplexCon to Chicago next year! More than 60,000 fans attended ComplexCon in Long Beach last month, making it the most successful ‘Con in the event’s three-year history, and now ComplexCon is expanding to the heartbeat of the Midwest. For fans who can’t wait until next November for the annual ComplexCon in Long Beach, Complex Networks announces today that it is adding to a ComplexCon in Chicago on July 20 & 21, 2019 at McCormick Place. 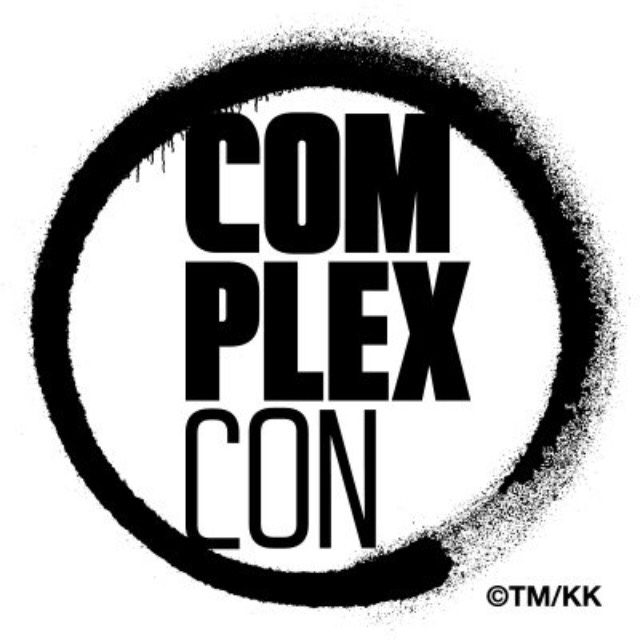 Those who know, know that ComplexCon is the expertly curated, groundbreaking convention and festival that brings the world of Complex to life through pop culture, music, art, food, style, sports, innovation, activism, and education. ComplexCon Chicago will pay homage to the city’s unique and distinct influence on pop culture. Then into ComplexCon.com and follow ComplexCon on Instagram for details about ticket on-sale dates and other important information. This entry was posted in Uncategorized and tagged 360 Magazine, activism, Chicago, complex, Complex Networks, ComplexCon, culture, direct, education, food, Global Society, gravel, INSTAGRAM, July, link, Long Beach, McCormick place, Midwest, music, November, pop culture, Tenzin Tsephel, Vaughn Lowery on December 7, 2018 by wp360mag. Just recently, the 25-year old rapper-singer-songwriter and Broward Country native Jordan Hollywood releases his music video for “Finally,” which is the title track off his Quality Music Control Music debut EP FINALLY. 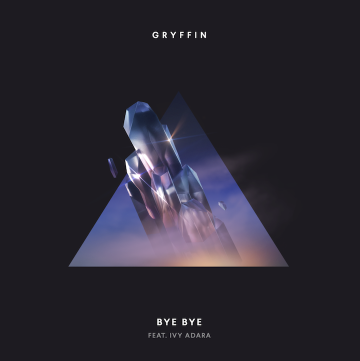 In “Finally,” Jordan continues his trend of having cinematic visuals working with his longtime video director Christian Breslauer. The opening scene finds him in the center of a storm. This symbolizes Jordan’s feelings about people who betrayed him. He was hurt but instead of dwelling he channels that energy into hustling harder. The final scene displays half the room waking up from a slumber, which symbolizes people are finally starting to notice Jordan Hollywood. “Finally” has so many different emotions for me. These built up emotions turned me into a new person. People counted me out. People turned their backs on me. People have been sleeping on me my whole career. Now people are finally waking up,” said Jordan on the video. Jordan also recently released the music videos for “Leave Me” and “Let Me Find Out” which features Lil Baby. The video gained over a million views within a week of its release and now clocks over 7.5 million views. “Let Me Find Out” is also impacting airwaves as the second most added song at urban radio. Jordan has been in the game as a co-writer for French Montana, Jason Derulo, and more. He spent time ghost writing for different rappers. Jordan has been releasing music since 2011 as a teenager and has collaborated with Yo Gotti, Lil Baby, Ronny J, Tory Lanez, Lil Durk, Hitmaka, and longtime producers SkipOnDaBeat (G-Eazy, Kodak Black) and platinum record making producer Smash David (Big Sean, Khalid, Chris Brown). Jordan comes from the diverse Broward County, the same area that spawned a slew of rappers from Kodak Black, Smokepurpp, Lil Pump and the late XXXTENTACION. 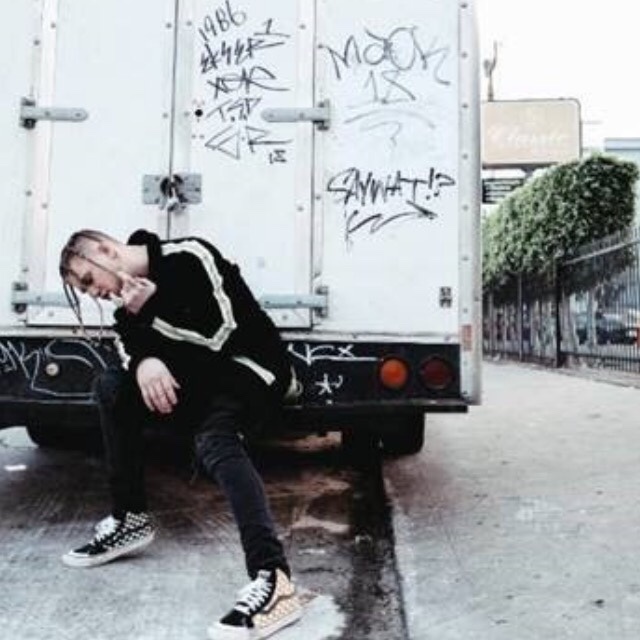 This entry was posted in Uncategorized and tagged 360 Magazine, big Sean, Broward Country, Chris Brown, Christian Breslauer, ep, Finally, g-eazy, Jordan Hollywood, KHALID, Kodak Black, Leave Me, Let Me Find Out, Lil Baby, Lil Pumpm, link, pop culture, Quality Music Control Music, Quote, radio, release, Ronny J, smokepurpp, songwriter, Tenzin Tsephel, Tory lanez, trend, urban, Vaughn Lowery, Video, visuals, Yo Gotti on December 6, 2018 by wp360mag. 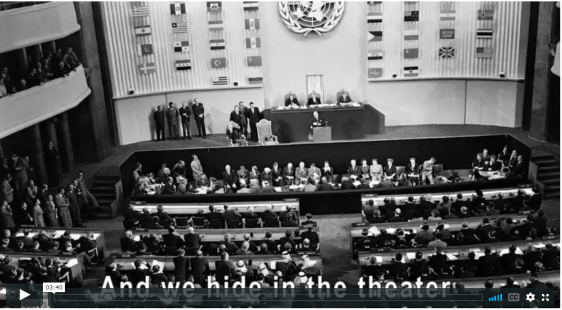 A Broadway actor leapt over a barricade to the front of the United Nations Assembly and interrupted the proceedings with a demand for peace and world law to protect human rights for all. “And if you won’t do it, step aside and a Peoples World Assembly will arise from our own ranks to do it,” shouted actor Garry Davis, a war veteran and former bomber pilot. Delegates were shocked–until it became clear this was a coordinated action. Then many applauded and joined in. On December 9, outside the UN, 20,000 supporters rallied to demand that world law be passed to protect human rights for all. The December 9th rally was a historic first, in that it occurred seventy years ago today, and was part of the massive people-power movement which helped trigger the unanimous passage of the Universal Declaration of Human Rights (UDHR) the very next day: December 10th, 1948. 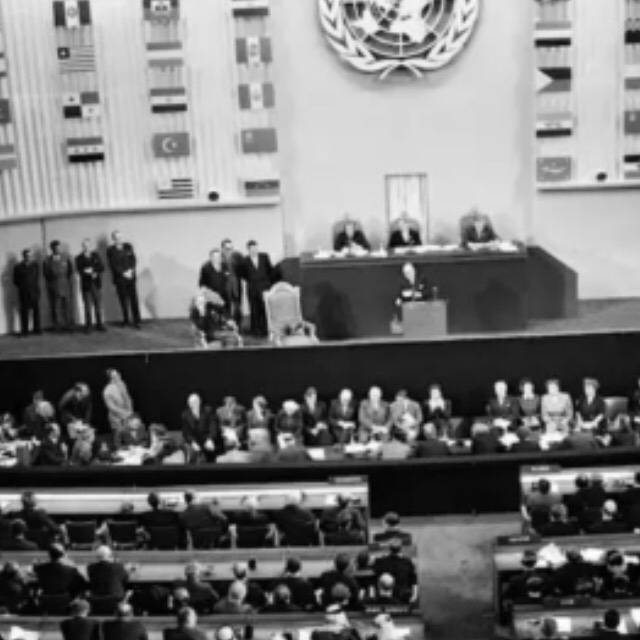 In a clip released to the press at https://vimeo.com/297521680 one of the protesters, Pierre Bergé, said the interruption of the United Nations General Assembly in Paris was planned and executed by “very famous writers” including Albert Camus. Los Angeles area media and others are invited to meet the director at a preview screening of the film December 8th at 6:30 PM at 3916 Sepulveda Blvd, Culver City 90230. For more information about Garry and the passage of the UDHR see the article in the German magazine Spiegel. This entry was posted in Feature and tagged 360, 360 Magazine, ;aw, Actor, anniversary, assembly, Broadway, country, delegates, demand, flash mob, French, Garry Davis, history, human rights, join, link, mass, movement, peace, Pierre Berge, pilot, protect, Quote, Robert Sarrazac, supporters, Tenzin Tsephel, un, United Nations, Vaughn Lowery, Veteran, Video, VIMEO, war on December 4, 2018 by wp360mag. As soon as you pass your driving test, all you want to do is get out on the roads in your very own car. As exciting as this time may be, however, it’s still highly beneficial to exercise a bit of caution and patience. 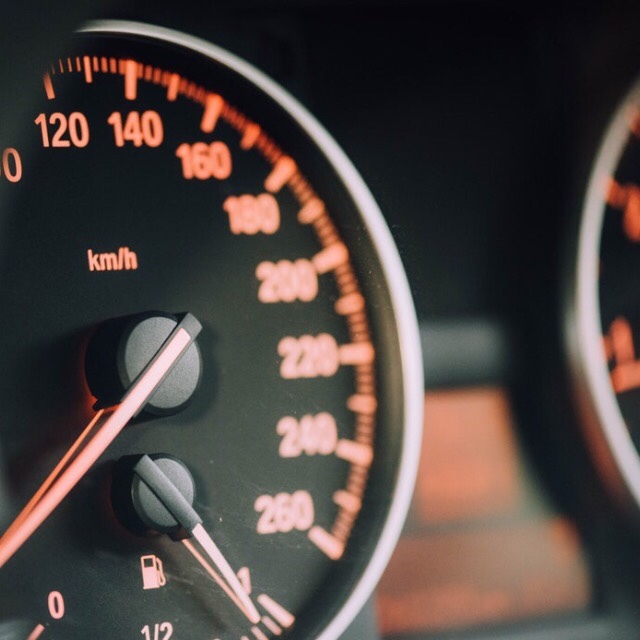 When it comes to buying your first motor there’s nothing smart about rushing in– doing so will see you face more problems further down the road. Exercising caution doesn’t mean being inactive when it comes to finding the perfect car for you, though. You should still be proactive at this time, and you should still try to set up your life as a driver in the most fruitful way possible. To find three top tips on how to buy your first car in the right way, read on. Before you do anything else in your car-buying venture, you need to work out your budget as well as how much you are willing to spend. This is essential because it’ll stop your spending from spiraling out of control, no it’ll help you avoid paying too little and then having to face any buying regrets further down the line. You also have to take future running costs into account. It’s no good just factoring the cost of the car into your financial plans. You also have to deliberate insuring the vehicle, getting it taxed, getting it tested, and then having work done to it to ensure it is roadworthy. Something else that you must consider is how you are going to pay for your car. Are you able to buy the car outright, or will you be going down the financing route? Regarding the latter, if you wish to take out a car loan to cover your bill, then you should check out the best auto loans at Crediful.com. Doing so will help you make the most informed decision on the matter possible. You may think that you have found the perfect car for you, but that might not necessarily be the case. Any vehicle can be made to look and sound good on the outside, but you cannot commit to anything until you’ve meticulously checked that your chosen car is in good working order. That means checking to ensure that the quality of your car is in keeping with its age, its model, and the number of miles it has to run; this means ensuring that the car can carry out all functions and purposes expected of it; and this means it matches its descriptions exactly. If you can’t perform these tests yourself, then have a trusted mechanic carry them out for you. Only then will any underlying problems with the car be unearthed, and only when these troubles are unearthed can you stop them from becoming actual headaches of yours. If you want your first car to truly help you in your quest to grow as a driver, then it needs to be in full working order. Taking the above advice is the first step, but there is something else that you must do: take it for a spin. Only when you get behind the wheel yourself can you get a feel for the car’s capabilities. When you take it for a ride, you should test the clutch and the brakes to ensure they do not feel worn, you should head to a road where you can hit at least 60mph to ensure it is capable of high-speed driving, and you should make sure that the steering wheel does not vibrate while you drive. As an inexperienced car owner, you will experience plenty of people sticking their nose into your car-buying business. The family members and friends of yours who own their own cars will try to give you an insight into car buying — their advice might come with the best of intentions, but they don’t know your situation quite like you do. 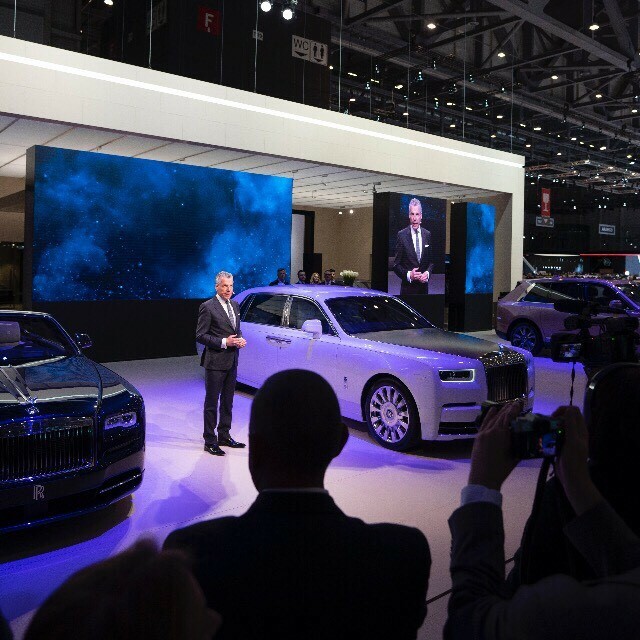 There will even be car dealers out there who try to push you towards certain buys — the advice they give will be very much designed to sway you towards lining their pockets. This all means that the only person that you can really trust in this situation is yourself, and you’re the only one who can bring about the best results for you. Your first car will always remain a favorite of yours, even after many years (and cars) have gone by. Be sure you invest in a car that’ll last for many years so that you do not have to worry about further expenses. This entry was posted in Uncategorized and tagged 360, 360 Magazine, advice, capabilities, car, crediful, driver, driving, essential, financial, first, Future, informed, mph, order, path, road, steer, steps, Tenzin Tsephel, three, tips, Top, Vaughn Lowery, vehicle, working, Quest on December 1, 2018 by wp360mag. 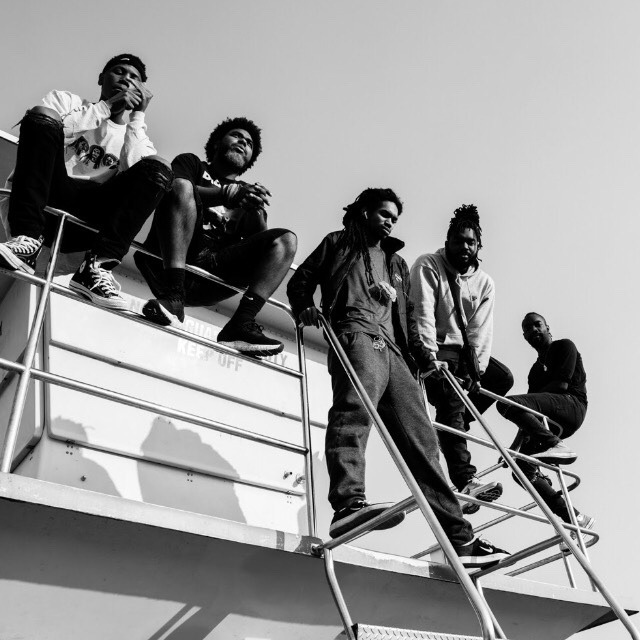 Recently, the Brooklyn-based quintet release the dizzying visuals for their song, “Way Too Far.” Directed by Joe Well who has directed videos for Kendrick Lamar, YG, Puff Daddy, and The Internet, the production company who produced the video–Pyscho Films–recently produced the video for Jay Rock ft. Kendrick Lamar– “Wow Freestyle” as well as Aminé–“Reel It In.” The video follows the band and gives us a window into their world, and features cameos by Briana Shanee Wilson (Influencer/Entrepreneur/Creator of Matte Brand) and Patrick Paige II of The Internet. The new record was met with rave reviews, with the band making Rolling Stone’s 2018 Hot List, with David Fricke noting how they are “ready for the world with mō’zā-ik. NPR Music premiered the album via First Listen, calling it a “stepping stone for the Brooklyn Band as a subconcious vacation for the listener while moving through the world…or maybe even a retreat from it.” The collection was also featured on NPR’s ‘New Music Friday– 8 Albums You Should Hear Now.’ Pitchfork added mō’zā-ik to their ‘5 Best New Rap Songs’ list, raging about how “the group mashes so well” and “every element of their sound complements the other.” The band also appeared on MTV’s TRL, were interviewed on Sway In The Morning, are currently the face of Spotify’s Newness Playlist, and were featured as Artist of the Week by both TIDAL and Soundcloud. The band are currently supporting Pusha T on the second leg of his Daytona Tour wrapping up with two shows in their home town at Irving Plaza in New York, and will also be playing a headlining show at Mercury Lounge December 28, with tickets on sale Nov. 20th. See below for full tour routing. This entry was posted in Feature and tagged 360 Magazine, album, Amine, band, Briana Shanee Wilson, Brooklyn, crossover, David Fricke, entertainment, Funk, House of Blues Cleveland, Interview, irving plaza, Jay Rock, Kendrick Lamar, listen, mtv, new, npr, Nylon, Patrick Paige II, Phony Ppl, Pitchfork, pop culture, Puff Daddy, Pyscho Films, reviews, Rolling Stone, sand, song, soul, soundcloud, spotify, Sway in The Morning, Tenzin Tsephel, The Danforth BIA, The Fillmore Silver Springs, the internet, tidal, Vaughn Lowery, YG on November 20, 2018 by wp360mag.